A program that offers Lane County children tools to prepare for kindergarten has received federal money to expand to more school districts. The funds will total $3 million over three years. 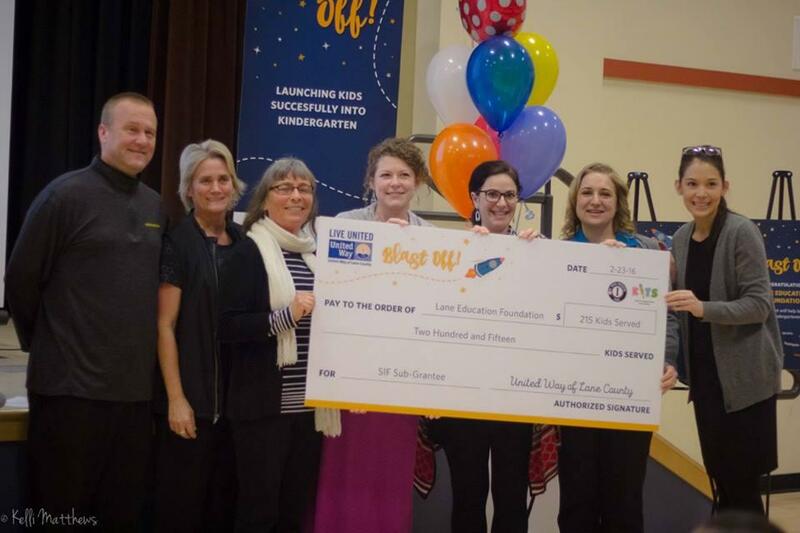 Lane County Education Foundation representatives receive federal funds to expand Kids in Transition to School or KITS at an event Tuesday. United Way of Lane County received the first check for $1 million this week. As part of the grant requirements, the agency must raise matching dollars from local funders. Katherine Pears Directs Kids in Transition to School or KITS. She says school foundations applied for grant funding. Pears says the school districts now offering the KITS program include Siuslaw, McKenzie, Fern Ridge, South Lane, Crow-Applegate Lorane, Mapleton, Marcola, Junction City and Creswell. That’s in addition to Eugene, Springfield, and Bethel. The grant allows the program to better serve children in rural communities.